With the debut of the updated 2020 Toyota Tacoma, many car shoppers want to know – what's new for the Toyota Tacoma design? 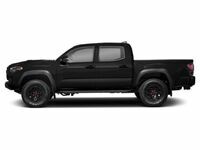 Take a closer look at the updates and changes to the rugged and capable Toyota Tacoma midsize pickup truck with this detailed 2020 Toyota Tacoma vs 2019 Toyota Tacoma comparison created by Downeast Toyota. 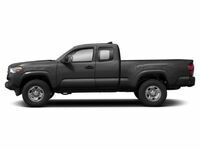 Are you in search of a hard-working and capable midsize pickup truck? The 2020 Toyota Tacoma and 2019 Toyota Tacoma will fit the bill in six grades – SR, SR5, TRD Sport, TRD Off-Road, Limited and TRD Pro – that can be tailored to fit your lifestyle with Access and Double Cab platforms. To make the 2020 Toyota Tacoma stand out from its predecessor, Toyota designers have added trim-specific grille and wheel designs, updated Toyota Entune™ 3.0 technology and innovative technology geared towards off-road adventures. What Are the Differences Between the 2020 Toyota Tacoma and 2019 Toyota Tacoma? When the 2020 Toyota Tacoma arrives at Downeast Toyota, each grade will feature its own signature style that will make it stand out in this 2020 Toyota Tacoma vs 2019 Toyota Tacoma comparison. Updated 2020 Toyota Tacoma trim levels will feature a re-tooled grille design that is complemented by stylish wheel designs that include 16-, 17- and 18-inch wheel options. To upgrade your drive, the 2020 Toyota Tacoma employs the latest iteration of the Toyota Entune™ multimedia interface – a standard 7-inch Toyota Entune™ 3.0 touchscreen infotainment system that provides access to Android Auto, Apple CarPlay, Amazon Alexa and Bluetooth. Popular 2020 Toyota Tacoma SR5 trim levels promise exceptional value at every turn with an impressive list of standard features. Highlights of the Tacoma SR5 spec sheet include Toyota Safety Sense™ safety systems, a 7-inch Toyota Entune™ 3.0 interface, a new grille design, 16-inch dark satin wheels, an LED bed lamp and Daytime Running Lights. Available upgrades to the 2020 Toyota Tacoma spec sheet include an all-new Panoramic View Monitor system, an all-new Multi-Terrain Monitor system, LED headlights, 18-inch alloy wheels, a Multi-Terrain Select system, a leather interior and an 8-inch Toyota Entune™ 3.0 touchscreen display. Under the hood, the 2020 Toyota Tacoma will retain the same power-packed and fuel-efficient engine options of its predecessor. Base Toyota Tacoma trims are powered by a 159-horsepower 2.7-liter four-cylinder engine that is paired with a six-speed automatic transmission to earn 23 mpg on the highway. To upgrade performance, the Toyota Tacoma is equipped with a 278-horsepower 3.5-liter V-6 powertrain that is available with a six-speed automatic or a six-speed manual transmission. With the automatic gearbox, the six-cylinder Toyota Tacoma will earn 24 mpg on the highway. When equipped for towing, the Toyota Tacoma will tow up to 6,800 pounds of cargo.